As 2017 draws to a close and we reflect on our first year as a non-profit organization, I’m amazed at how much our crew of volunteers has accomplished. Or more accurately, what we have accomplished in partnership with a great many others. At last count, we have collaborated with more than 30 organizations, businesses, and public agencies to reduce greenhouse gas emissions, build community resilience, and expand public understanding about our shifting climate and local impacts here in the Flathead. Joined with FireSafe Flathead to promote fire-adapted communities and reduce wildfire risk. Worked with BNSF Railway to reduce locomotive diesel emissions in Whitefish. Organized a Climate Science Day at FVCC with researchers from UM and MSU to examine projected impacts of climate disruptions for Flathead forests, agriculture and water resources. Led a panel discussion at Free the Seeds about the multiple benefits of building healthy, carbon-rich soils. Provided project management support for the City of Whitefish’s development of a Climate Action Plan. Highlighted economic development opportunities at a Clean Energy Forum in Columbia Falls. Assisted planning and development of the Whitefish School District’s Center for Sustainability and Entrepreneurship. 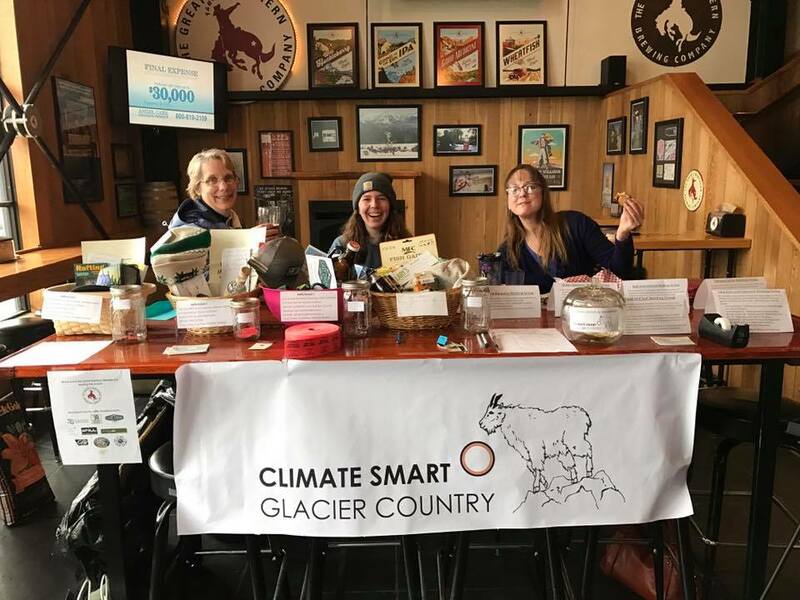 Sponsored a community conversation about the implications of climate change for Glacier National Park and the region’s recreational economy. Celebrated the first annual winners of the Climate Smart Champion Awards – Students, businesses and individuals. The magnitude of the climate challenge can be daunting, and it’s reasonable that many feel overwhelmed. What we can control, however, is our local response. We help Flathead residents empower themselves by doing something meaningful with friends and neighbors. Instead of pretending the problem away or being a powerless bystander, you can become an active participant in local solutions. Best wishes to you and yours for a healthy, climate-smart 2018!